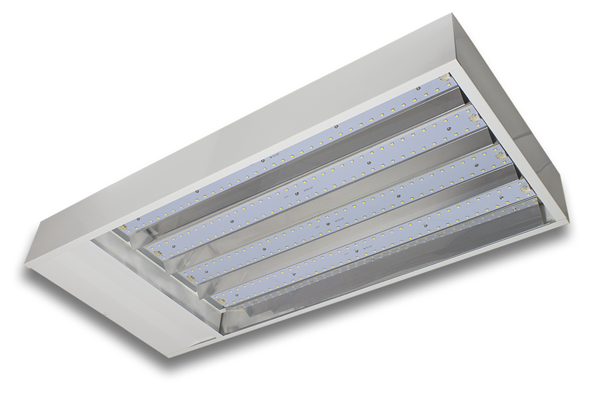 LOWBAY8050K-CF provides a viable replacement to conventional Lowbay light fittings offering instant White light, performing with 120W and 9600lm lumen output. Featuring the innovative microwave sensor, our 220~240Vac Lowbay is designed to automate the power by sensing movements. 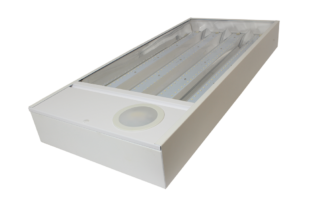 Our LOWBAY 12050K-CF is part of our 120W 5000K Corridor Function range. Illuminating your applications with 9600lm, the LOWBAY is designed to make your life alot easier with a motion detector. Automatically switching on and off with the luminous intensity reduced for energy efficiency when movement is detected, from zero or a preset low level. When the sensor no longer detects any movement, choose from the various functions; immediately deactivating, dimming and then switching off or a delay time before the light deactivaes itslef. Whichever suits your requirements, the function will provide the performance. The Corridor Function is built into the control gear and is enabled automatically with no extra gear and no additional commissioning effort is required. 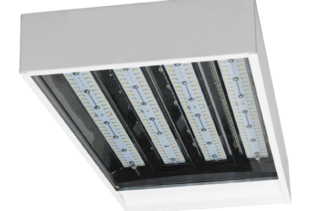 With a remote to control your functions for dimming and its luminous output, users may choose between using pre-programmed lighting profiles for everyday use, and also programming light levels and sequences individually. 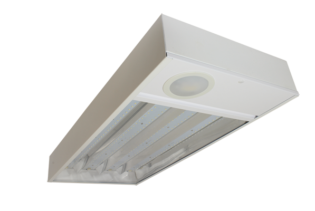 With an IP20 rating and instant, flicker free White light, the LOWBAY 12050K-CF is suitable for commercial and industrial environments.